I do hope you like Ben and Zack. And this story, which has a very special place in my heart. As it often does, the bad news comes in the middle of the night. When attorney Ben Winters’s close friend takes a bad spill and ends up in the hospital, he flies across the country to be there for her. His instant attraction to her brother takes him by surprise. Wanting Zack Anderson is easy; actually having him is a bad idea. While the two connect over concern for Zack’s sister, there are many reason to fight the attraction brewing between them. 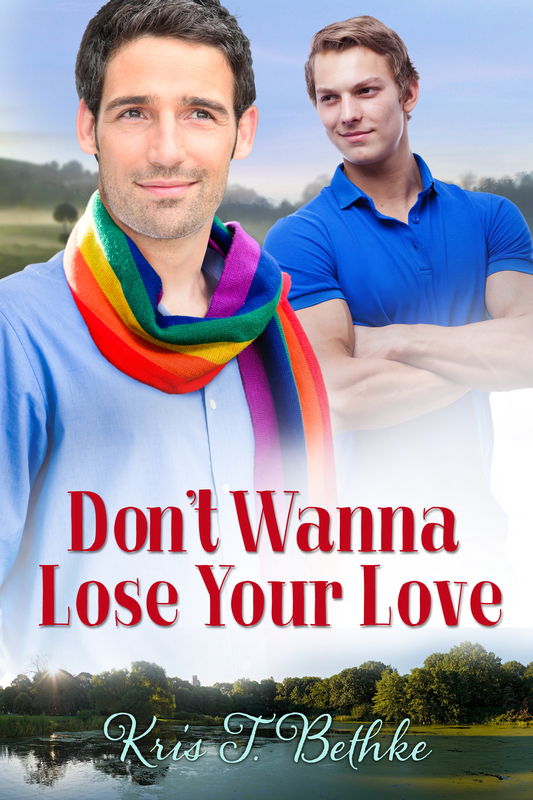 Things heat up as Ben’s friend begins to show improvement, but the reasons not to get involved with the younger man remain the same–long distance relationships never work and Ben doesn’t do one-night stands. But there’s one powerful reason to give in: Ben has never wanted anyone more. You can purchase it from Dreamspinner directly. And I’ll add the other buy links to the books tab at the top as soon as they become available. In the meantime, how about an excerpt to entertain you for a bit…and maybe whet your appetite? Enjoy! “This place is gorgeous,” I breathed. I couldn’t imagine it looking even better, but I took his word for it. We strolled in silence, walking close together but not touching. It was fairly empty, but that made sense because it was the middle of a weekday. I would bet this park would be bursting with people on the weekends. The snort escaped before I could check it, and his eyes lit up. Of course I wanted him. I knew he knew it, and he was trying to be a gentleman by saying that. I still didn’t think it was a good idea, though. There was something about him that I couldn’t quite put my finger on, something that made him different than every man I had tried dating before. But I knew it could never work, not in any lasting way, and I was tired of having my heart broken. As if Zack could sense my inner turmoil, his smile softened and he opened the bag he carried. He handed me one of the wrapped sandwiches. I took it automatically. “Think about it while you eat,” he said. Like I’d be able to do anything else. YAY!!! 💃🏻. Congratulations, Kris! Can’t wait to read this one! 😀 Thank you Shell! I hope you like it!